So you’re left-handed and you want a modern semi-auto carbine suited to self-defense, hunting, law enforcement, or other uses. You can pick up very expensive, non-standard AR-15 lower designed for an ambi bolt release and magazine release, add a left-handed upper and expensive ambi charging handle, and an ambi selector, and you can have a pretty good left-handed setup for considerably more than the cost of a right-handed AR-15. Not a bad route to go. Or, you can buy a rifle that is already set up for the left-handed shooter. 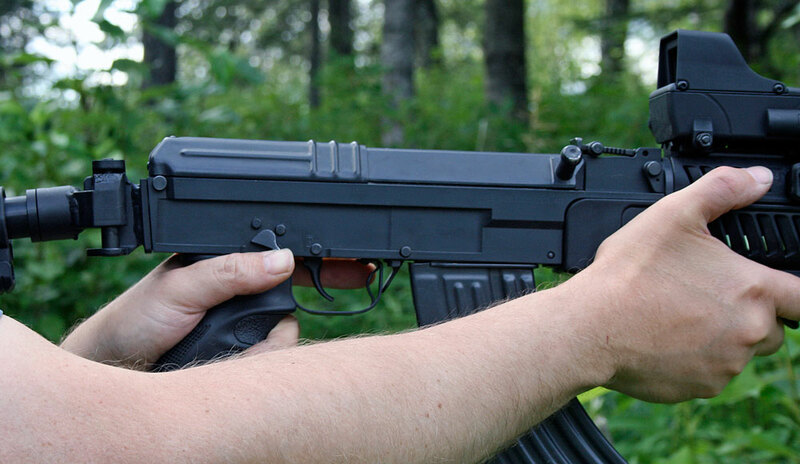 This would be the Czech Small Arms Sa vz.58 imported by Czechpoint, of course. How can a rifle designed in the 1950s be a modern left-handed semi-auto rifle? Well, as far as the modern thing goes, the vz.58 is a pretty modern design in many ways; the way the action works, the light weight and excellent ergonomics, the short-stroke piston system, and the legendary reliability; all of these features are advantages that we look for in modern fighting carbines. The Czechs, as usual, were ahead of their time in firearm design and production. However, there are some things about the vz.58 that show it’s 195os heritage. In that time period, armies were transitioning from bolt-action rifles to semi-auto or select-fire rifles. There were certain assumptions that were carried over from the bolt actions. Bolts were expected to be manipulated with the right hand, for example, and safeties and magazine releases were often not designed to be used the way we do today. So the vz.58, while better in these regards than a lot of contemporary rifles, still require some slightly different methods when operated by a right-handed shooter. Fortunately for right-handers, the se methods work well, and the rifle is as easy to manipulate using modern fighting methods as it was with 1950s methods. But a funny thing happened. As our techniques shifted, the vz.58 controls became perfectly suited to left-handed use. It is generally taught to day to manipulate the charging handle with the support hand. 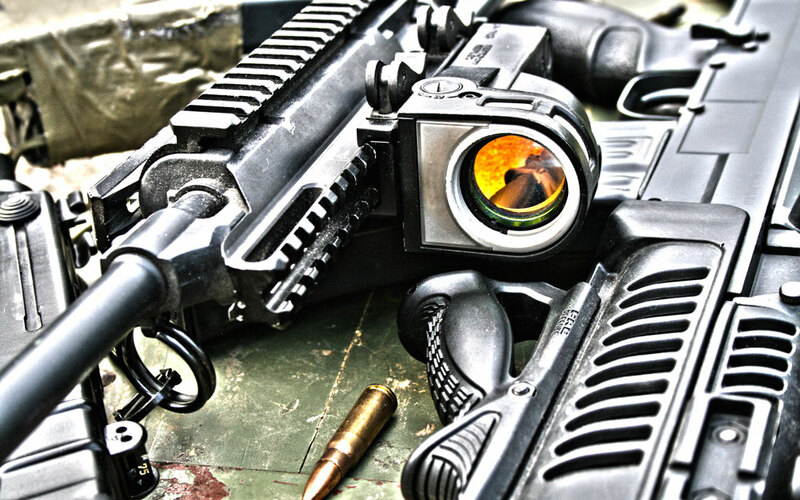 Most new fighting carbine designs incorporate a left-side charging handle for right handed shooters. 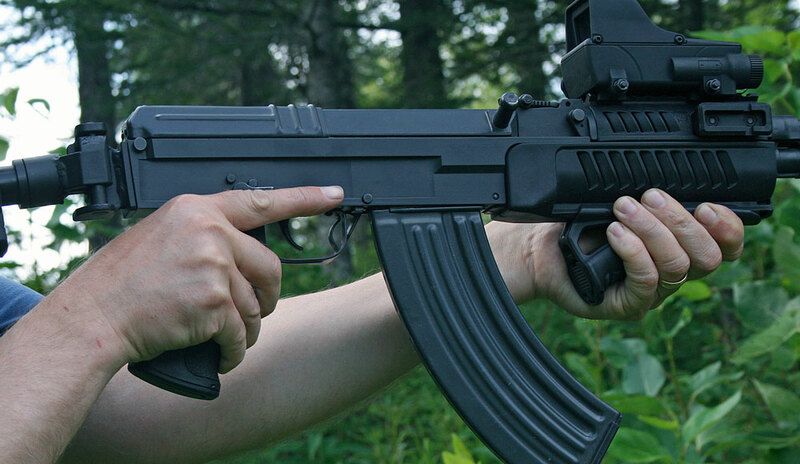 The right-side charging handle on the vz.58 is perfect for left-handed shooters. The selector on the vz.58 is placed on the right side of the weapon. 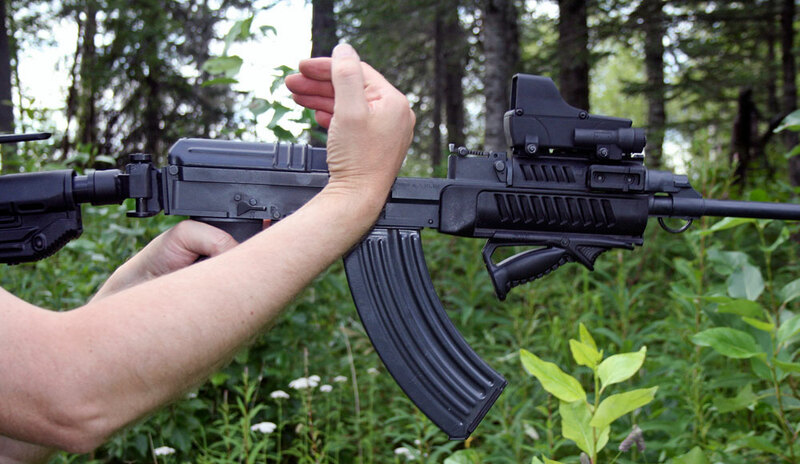 Some right-handed shooters add an aftermarket ambi safety, while others simply manipulate the safety with the firing finger. But for the left-handed shooter, the vz.58 selector lever is positioned just right for operation by the firing-hand thumb. The magazine release is a paddle that is pushed forward to release the magazine. It is offset to the left side. A right-handed shooter will press he magazine release with the thumb while grasping the magazine, or press the mag release with the new magazine. The left handed shooter can just press the mag release forward with the trigger finger. Ejection is mostly up and forward. The left handed shooter will n0t get hot brass in the face or down the shirt. See photos below illustrating these left-handed techniques. 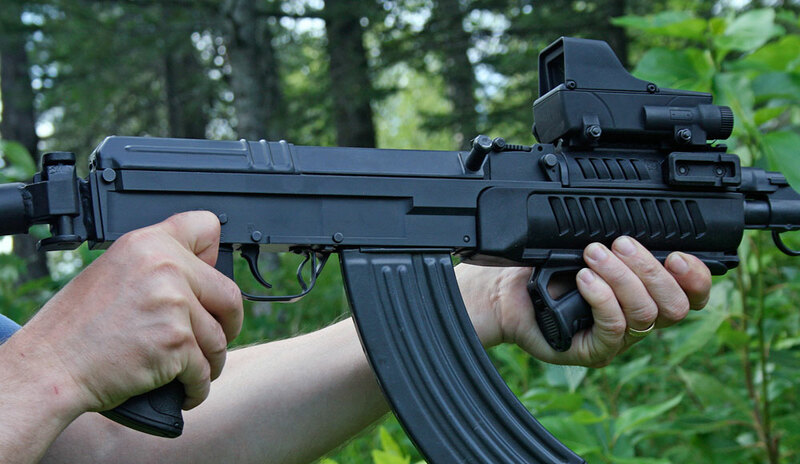 The Czechpoint vz.58 is a well-made, reliable firearm with an excellent and available magazine system. The light weight and perfect balance give it excellent ergonomics and the short-stroke piston supplies reliable function with a pleasant recoil impulse. Magazine changes are easy and it also loads easily and quickly from stripper clips. 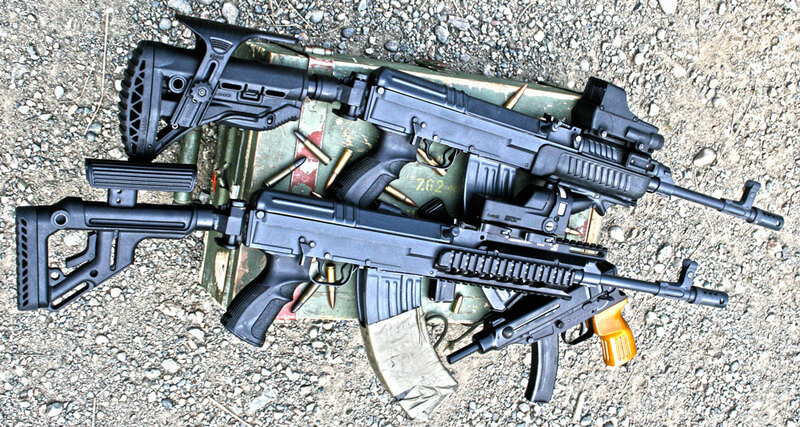 It is available in both 7.62×39 mm or 5.56 mm. If I were a left-handed shooter looking for a left-handed semi-auto carbine, the Czechpoint Sa vz.58 would be my choice. 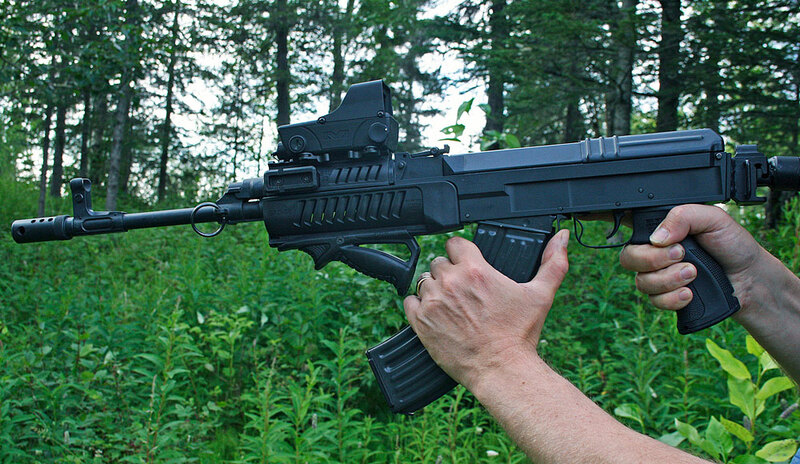 Click here for modern accessories for the Sa vz.58. So if the charging handle is on the left it’s a left handed firearm or is it a right handed firearm because your dominant hand is on the grip? You can charge it with either hand, but it is an advantage for the charging handle to be on the same side as your support hand, so it can more easily be run with your support hand. It must be nice to be able to spend more of your time SHOOTING your guns than looking at them and planning the next outing (which is most always something of a logistical riddle to work out for us city-mice). And it still looks good! I noticed the lack of a fancy paint job on that carbine; dealer loaner? 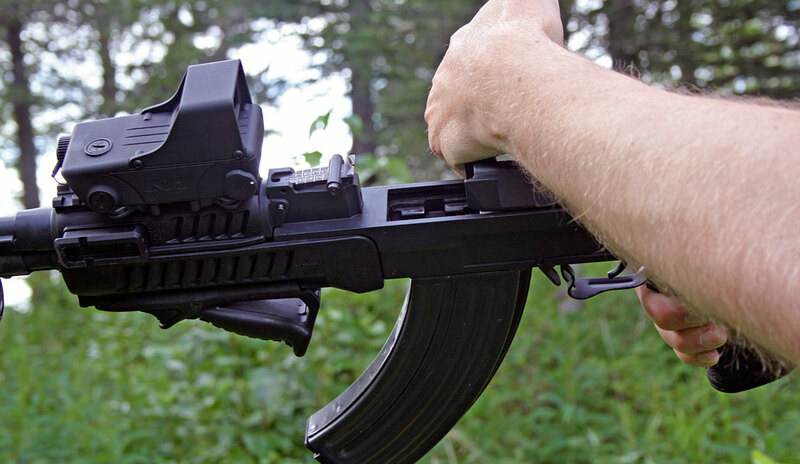 Are the mags proprietary or standard AK mags? I kept them with the historic dark grey finish. I actually rarely put fancy finishes on my own firearms, though I sometimes use one of my own or my children’s for experimentation, and sometimes use solid colors on mine for protection. I generally have little time for my firearms, anyway. I am not too picky about finishes on my own firearms and tend to be pretty hard on them. I suppose from growing up in the bush in Alaska and from the military, I am not too bothered by finish wear on my own firearms. 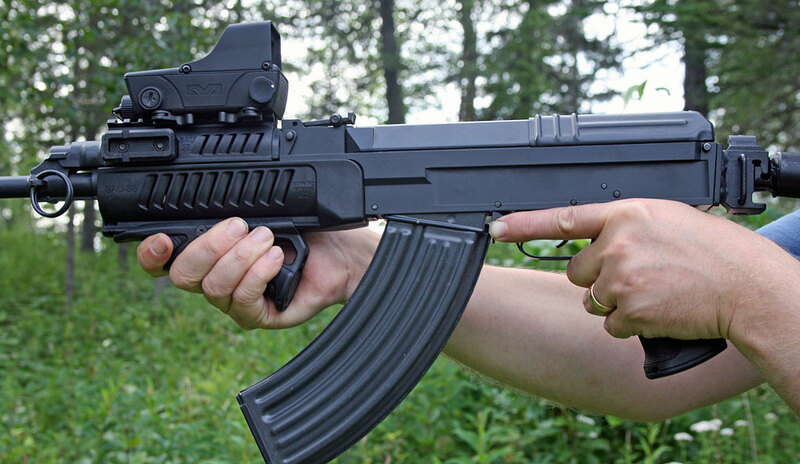 The Sa vz.58 uses proprietary magazines. They are nicer than AK mags in that they activate a bolt catch when empty and they don’t have to rock as far when inserted. The Rommel’s Book finish you put on my M1A, while no longer “perfect” has held up rather well to regular use. Great! I was really pleased with how that one turned out. It was a nice rifle to start with, I really like M1As. I first started doing DuraCoat finishes after the first one I did on my sniper rifle while deployed. I was amazed at how the finish stood up to hard use and abuse.